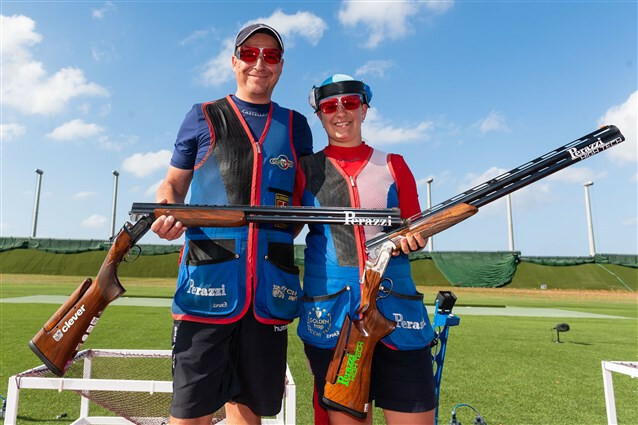 Slovakia’s Zuzana Rehak Stefecekova and Erik Varga secured their second consecutive mixed team trap gold medal in the International Shooting Sport Federation (ISSF) World Cup series as action concluded today in Siggiewi in Malta. The duo, who won the same event in Changwon in South Korea in April, triumphed with a total of 42 hits out of 50 targets at the newly-built National Shooting Ranges. It came at the end of a weather-affected match, once again strongly conditioned by the wind. "Shooting in these conditions has been very difficult, but at the same time very funny," Rehak Stefecekova said. "Conditions, however, have been the same for all the teams and we didn’t need a very high score to get in the final. "It feels great to win again in this event. "Our next competition will be the European Championship, so they’ll have to be afraid of us." Italy’s Emanuele Buccolieri and Silvana Stanco lost touch with the Slovakians after three bad misses between target number 37 and 40. They had to settle for the silver medal with 39 hits. Another Italian pairing, Giovanni Pellielo and Jessica Rossi completed the podium with 31 hits out of 40. Last year’s ISSF World Cup Final silver medallists closed their match with a streak of 13 consecutive hits that allowed them to avoid two eliminations. The mixed team trap event will be part of the Olympic programme as of Tokyo 2020. The sixth final stage of the 2018 ISSF World Cup series is due to take place in Tucson in the United States next month. Action is scheduled to be held from July 9 to 19.